Why Slow Investors Lose and Fast Money Wins! Your financial advisor does not want you to listen to this audiobook! Are you tired of the same old advice of “save money, invest for the long term, and diversify”? Do you know that your financial planner’s company makes money - even when you lose money? Do you want to learn how and why professional investors increase the velocity of their money, rather than park it? Why do the rich get richer even in a financial crisis? In his new book, the best-selling author of Rich Dad, Poor Dad confirms his message and challenges listeners to change their context and act in a new way. 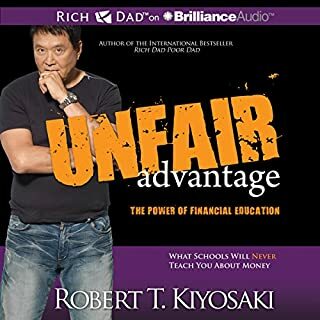 Robert Kiyosaki here takes a new and hard-hitting look at the factors that impact people from all walks of life as they struggle to cope with change and challenges that impact their financial world. Many people have million dollar ideas. They're confident that their new product or service or innovation will make them rich and that all their dreams will come true. The problem is: Most people don't know how to turn their million-dollar idea into millions of dollars. According to many social scientists, the most important thing in life is a person's social and professional network. In other words, the people around us - our associates, our team, our friends. The people we surround ourselves with - and the people we go to for advice - can mean the difference between success and failure. Overall pretty good, but just a review.. Here, Buckminster Fuller takes on the gigantic corporate megaliths that exert increasing control over every aspect of daily life. In the form of a modern allegory, he traces the evolution of these multinational giants from the post-World War II military-industrial complex to the current army of abstract legal entities known as the corporate world. GRUNCH stands for Gross Universal Cash Heist. Rich Dad’s Guide to Becoming Rich will explain why cutting up your credit cards is a short-sighted, quick fix that doesn’t address the underlying problem of bad debt, describe the difference between good debt and bad debt, illustrate how using credit cards to buy liabilities will only make you poor, show why using credit cards responsibly is a first step toward taking control of your financial future, and teach you the importance of having your money work for you… so you won’t spend your life working for money. Retire Young Retire Rich is about how we started with nothing and retired financially free in less than ten years. Find out how you can do the same. If you do not plan on working hard all your life, this book is for you. Why not Retire Young and Retire Rich? Repetitive, but solid information nonetheless. In Before You Quit Your Job Robert shares his successes, but more importantly, he shares his failures and the lessons he has learned from them. This audiobook will give you a jump-start to becoming a successful entrepreneur. Robert Kiyosaki has been an entrepreneur since he was 9 years old. You may be familiar with some of his million-dollar products. Tax-Free Wealth is about tax-planning concepts and how to use tax laws to your benefit. Tom explains how the tax laws work and how they are designed to reduce you taxes, not to increase them. The audiobook explains how to use the tax laws to your advantage and in ways that will support business owners' vision and growth plans for their companies. Once listeners understand the basic principles of tax reduction, they can being immediately reducing their taxes to the point where, eventually, they may even be able to legally eliminate income taxes and drastically reduce other taxes. 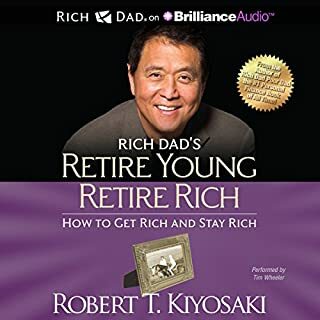 Robert Kiyosaki's new audiobook 8 Lessons in Military Leadership for Entrepreneurs draws from his years at the Merchant Marine Academy at Kings Point and his service in the United Sates Marine Corps. With compelling stories and examples and an engaging way of comparing and contrasting two very different cultures and value systems, Robert shares the challenges he faced in transitioning to civilian life. Few would argue with the fact that on many fronts, we are a world in crisis. And there are two sides to every crisis, be it a leadership crisis, an economic crisis, an education crisis, or a moral crisis. The two sides to crisis are danger and opportunity. 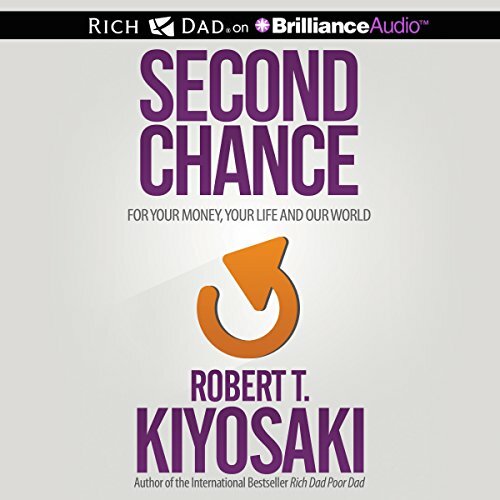 Robert Kiyosaki's new book, Second Chance: for Your Money and Your Life, uses the lessons from the past and a brutal assessment of the present to prepare readers to see - and seize - the future. If readers can train their minds to see what their eyes cannot in a world that is becoming increasingly more invisible and moving at a high rate of speed, they can have a second chance at creating the lives they've always wanted. The global problems we face cannot be solved by the same minds and people who created them, and today's world demands the ability to see the future and prepare for what lies ahead…prepare for the opportunities as well as the challenges. Like it or not, we are all involved in the greatest evolutionary event in human history. The Industrial Age is over, and the Information Age continues to accelerate. The visible agents of change have become invisible...and harder to see. And the future belongs to those who can train their minds, use the past to see the future, and take the steps to create the positive changes they want to see in their lives. Second Chance is a guide to understanding how the past will shape the future and how you can use Information Age tools and insights to create a fresh start. This book is a guide to facing head-on the dangers of the crises around us - and steps and tips for seizing the opportunities they present. 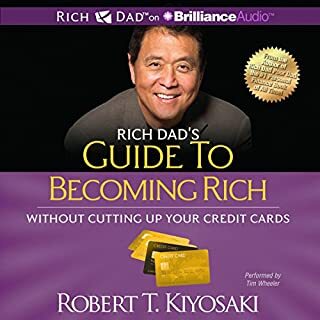 ©2015 Robert T. Kiyosaki (P)2015 Brilliance Audio, all rights reserved. I kind of hate how he plays his Rich Dad Poor Dad (RDPD) down as an marketing pamphlet for his game. Everyone knows that RDPD was an awesome book along with Cash-flow Quadrant. Yah, however I can't recommend this book, honestly I want to ask for my money back on this one. I won't do that because in general Robert Kiyosaki is awesome. The righteous kick he is on in this book made it a real struggle for me to get through it. He should change the title of this book, it seems to be more of a Biography then anything else. When I bought this book I was looking for pivotal mind blowing evolutionary business changing philosophy like Cash-flow Quadrant. Not a biography or anything about his faith, what his definitions of good vs innuendos evil. If it had said "Second Chance, My Biography" I think the whole idea of what I was buying and my expectations would have been different which would have altered my opinion as well. If you could sum up Second Chance in three words, what would they be? Kiyosaki has taken on a more sage-like voice in this book. 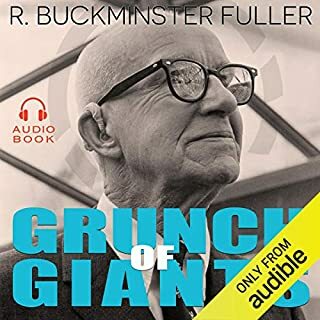 He pays homage to the brilliant Bucky Fuller by including Bucky's teachings I have a *way* deeper appreciation for what it was that Bucky has contributed to each of us. Read this book, or suffer the consequences of ignoring it. Kiyosaki does an amazing job presenting not only great education, as usual, but deep and profound wisdom with the help of his long-time friend Bucky Fuller. As Kiyosaki has worked tirelessly to expand his own personal horizons, he's so generously enabled us to be along for the ride. I'm really excited about the impact this is already having on my thinking around business and money. This was a great listen. Robert gives some new insights into the past, as well as the future. Many will complain and say thing s the book suggests are not possible. But those people will never take their second chance. Part history, part finance, part spiritual. Kiyosaki has a way of bringing across very complex topics in easy to understand ways. All and all great listen. Most definitely a must read for those who want to learn how to survive the crash. I must say though it it slightly repetitive in certain themes. I wish he would have used different examples. Having most of the quotes come solely from fuller made me think I was reading the wrong book. I have worked for top financial advisors and they seem to follow the lifestyle that this book describes. Subject not worthy of writing ANOTHER book. This book is now my second favorite outside of his first book, Rich Dad, Poor Dad. I've read 5 of his books, but this is the first that opened my eyes to take things to that next level. It could be that I'm in a better place in my life and experienced business first hand; nonetheless, this gives the right details for me to take the leap for the next phase of success. Read, you won't regret it! Understanding the quadrant and apply the financial education ! What a great, simple explanations from Robert.... time to take actions, to begin acting my second chance! Like many rich dad poor dad has had a greater influence on my life and thinking than any other book but some of his spin off books have perhaps gone over the same ground a little to much. This book however is totally relevant, by far the best most succinct description of the why the financial system is in the state it is in and how best to profit in this mess. What would have made Second Chance better? More detail on what he thinks will cause the next recession/depression and an analysis on why it occurs. Has Second Chance put you off other books in this genre? Not of the Genre, just his line of books. What three words best describe Tim Wheeler’s voice? disappointment, I was hoping that he would do explanation of Peter Schiff. 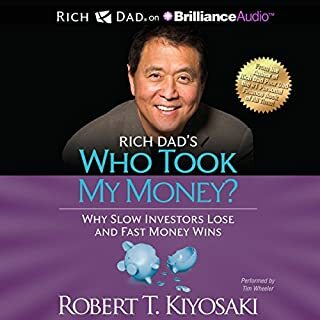 The content of this book overlaps with the Rich Dad Poor Dad book quite a lot, in fact, it's teaching the same principles on assets vs liabilities. The problem however is that this book is in the form ofa Q&A. The narrator would read. "Q. What is blah blah blah? A. The answer is so and so". Yes, the Q and the A is narrated. Whilst this allows the book to explore questions a reader of the book may have, it's very annoying after a while for a LISTENER, as the constant Q. and A. disrupts the flow of the audio. Perhaps the audio version should have been edited to make the Q&A format more like a conversation between two people rather than literally reading out "Q", and "A" every other paragraph. 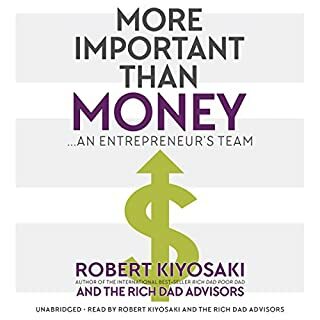 Great book filled with lots of great ideas for your success, highly recommended to anyone interested in studying how to succeed in life and specially for people who already follow Rich Dad philosophy. Many thanks Robert Kiyosaki for sharing your wisdom. the ideas here are not traditional, bit they make perfect sense, you need to listen to the entire book to get an idea of what is going on, but it is worth it! Very good book that has a wake up call for society today and key pointers to improve your financial life. A great help to your waking up process is this engaging book. Read it now and then get to preparing! I love the information this book has shared, it has literally opened up so many thoughts I never knew existed, the matter of seeing the invisible didn't make sense to me until I completed this book. Highly recommended to anybody who wants to take advantage of the current world and where it is heading. Thank you for my head start. I am profoundly amazed at how poor the editorial advice given to the author must have been. An entire volume of Q... A... Q...A !!!! Truly a horrid structure for conveying some words of financial insight. The author should be ashamed, the editor should never be given work again. I got really agitated with all the "Q" and "A" references in this book, but determination to finish every book I purchase kicked in and actually liked it aside from that! I expected more from Kiyosaki. I found it rather repetitive & a rehash of all his old stuff, rather than new material for a new time. Always good to refresh & recap on old stuff. I thought I was happy in my cocoon of mediocrity. Reading this book was like passing a car accident, ' You know you should not look, but you find yourself transfixed, jaw dropped and wondering what do I do next. I am now committed to financial education, So thank you that was the brutal slap in the face I sorely needed. I have not been playing what I know now to be the greatest game on earth. The game of Capitalism. once again, an outstanding book from Kiosaki. Anyone looking for a bible on wealth creation can not go past this author. Information is second to none. Great easy read.